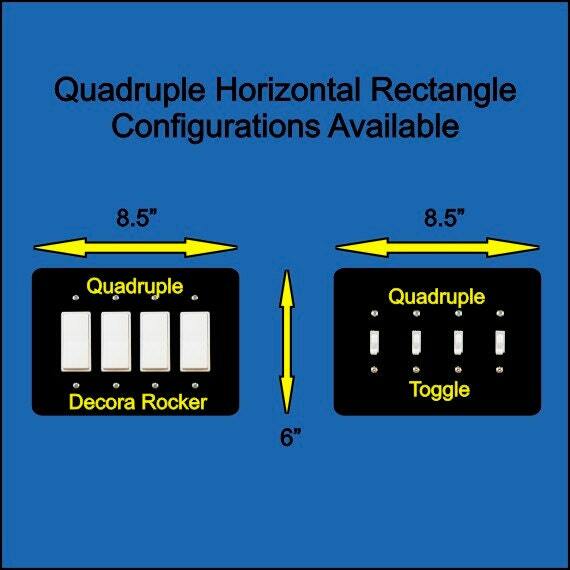 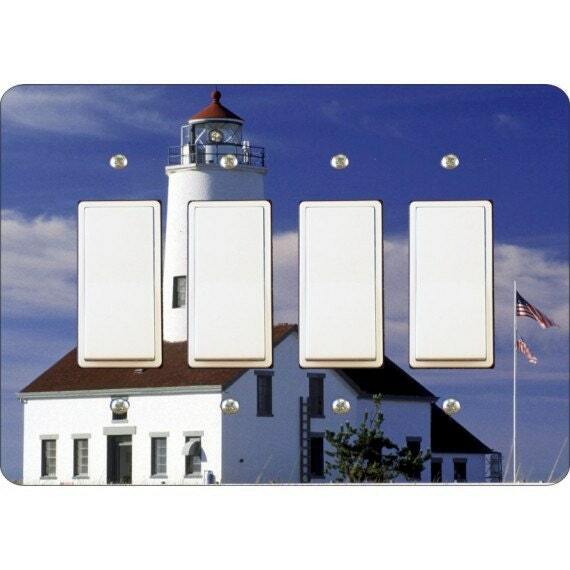 The image on this rectangle quadruple decora rocker plate is a high resolution image of a nautical lighthouse. 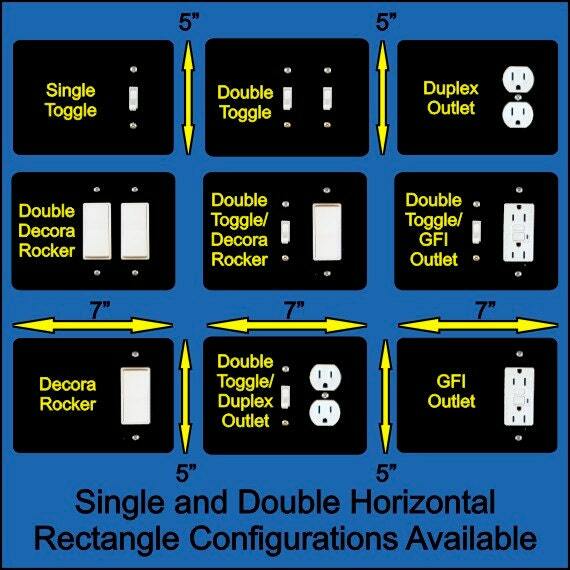 This unique 8.5 inch wide 6 inch tall rectangle wall plate is made of one eighth of an inch thick durable hardcoated hardboard material (also known as masonite). 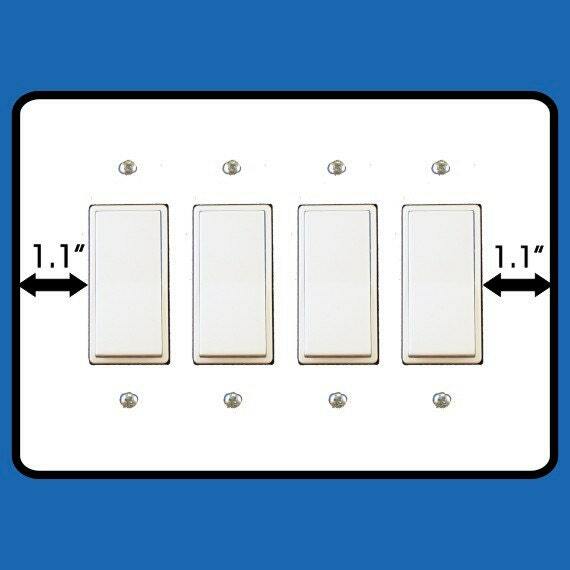 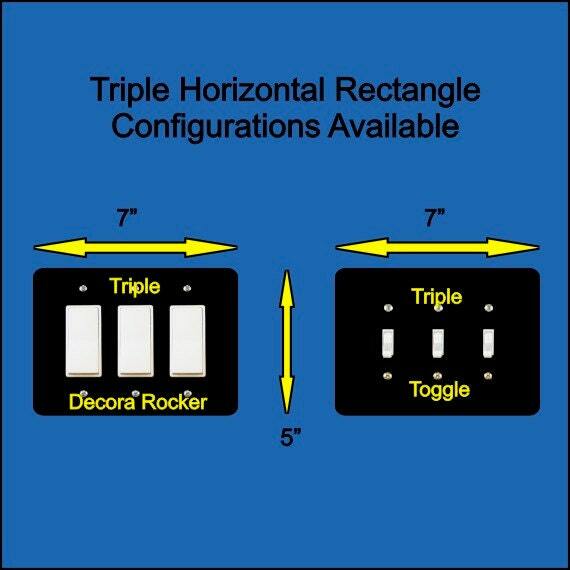 You need 1.1 inch clearance on the left side of the left switch opening and a clearance of 1.1 inch on the right of the right switch opening for this quadruple decora rocker switch plate to fit your wall.